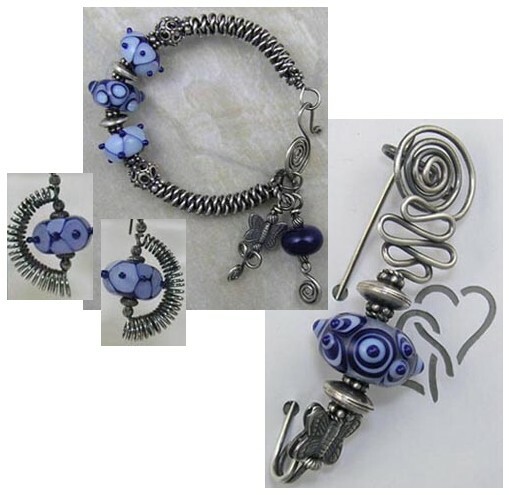 Antiqued and bold pins made in sterling silver wire with lampwork glass beads and sterling silver findings. 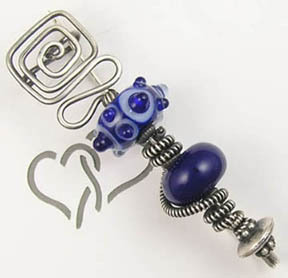 The term "lampworking" refers to the manipulation of glass in the flame from a torch. 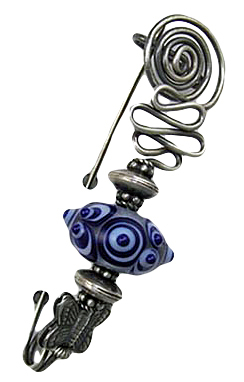 Before the advent of modern gas torches, lampworkers used oil lamps and air billows, hence the term "lampwork." 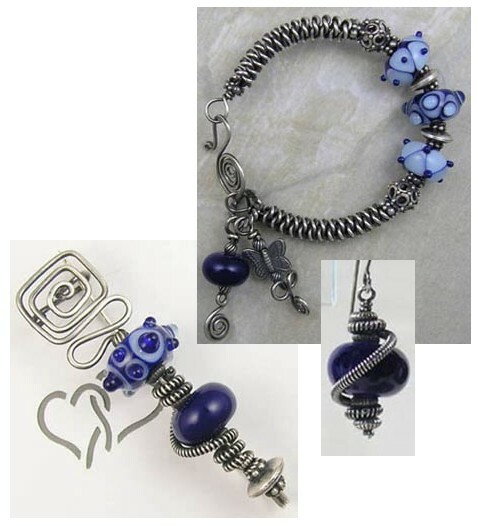 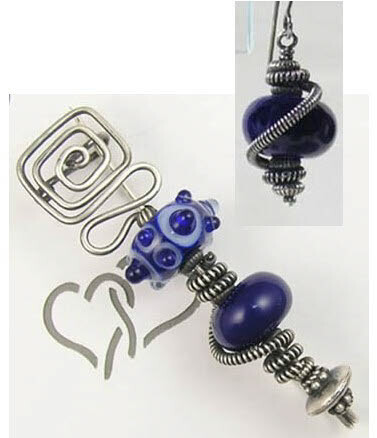 The lampwork beads used in the jewelry found on this website are the creations of several lampwork artists. 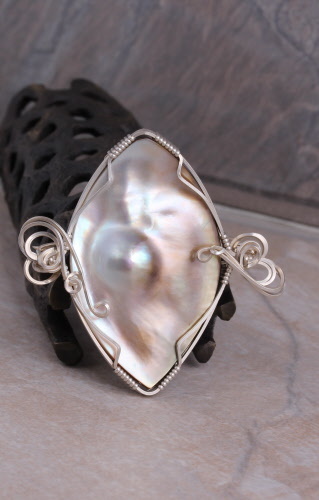 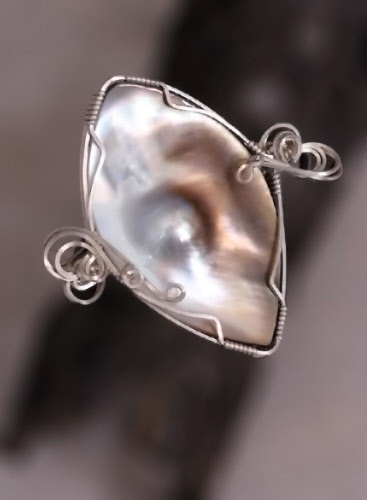 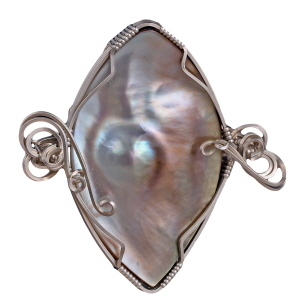 Brooches made in argentium silver wire with a gemstone cabochon or mabe pearl.